The setting of Key West, Florida returns in FULL OF BEANS. Previously the author featured the setting in her the funny and endearing 2011 novel, TURTLE IN PARADISE. I spent a few days in Key West about ten years ago so the time period in the story of the Great Depression was a fascinating contrast. You can view a current slide show of images at keywest.com. It will give you a sense of life today before you read this new book. Ten-year-old Beans Curry is a the narrator and he’s a kid you will grow to enjoy. His insights on life in Key West are honest though sometimes misguided. The town is in awful shape and his family is struggling. Beans tries to help out by doing odd jobs. Unfortunately a few are a bit on the illegal side, but one would probably do the same in Beans shoes–that is if he wore shoes. Historical references to the Great Depression make this a must read. Child stars, Shirley Temple and Baby LeRoy, Florida and Roosevelt’s New Deal, and the Works Progress Administration artists are each woven into the story. The chapters fly by because it’s hard to put down a good story with humor. FULL PLOT (From AMAZON) Newbery Honor Book Turtle in Paradise is beloved by readers, and now they can return to this wonderful world through the eyes of Turtle’s cousin Beans. Beans name is funny enough but it seems every kid in town has a nickname or an odd given name: Kermit, Johnny Cakes, Pork Chop, and Dot to name a few. This is what makes historical fiction a great way to learn about our past. Sure, you could read about the time period in a history book but when you have fun characters and a superb story, there’s no other way. I’m still giggling at the way Beans used his grandmother’s girdle to solve one of his problems. Beans has many visits to the local movie house where he watches young stars in black and white. Beans wants to be an actor, and with his personality he’d be a good one. The money making schemes are a sad reminder of the times, but they are a perfect reflection for modern day kids to compare to our always on world. He was our resident writer. Apparently, he was famous. I’d started to read one of his books, but I couldn’t get past the second page. 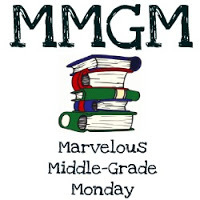 This entry was posted in Reviews and tagged Full of Beans, Jennifer L Holm, male protagonists, Marvelous Middle Grade Monday, MG book reviews, Middle grade. Bookmark the permalink. It’s nice to see a historical fiction book that’s also funny. These are rare finds. So looking forward to reading this. It’s on my “buy after Christmas” list. Thanks for the review and the photo link! I love Key West so I would probably enjoy this. Sound truly interesting! I’ve seen several reviews of this book but this one may have convinced me. Hey, I recognize this book! 😀 Glad you enjoyed it, and love the bits you pulled out to highlight! “Unfortunately a few are a bit on the illegal side, but one would probably do the same in Beans shoes–that is if he wore shoes.” You see, it’s lines like this that capture my interest and push the books you review to the top of my TBR list. Thanks for the post. You convinced me! This sounds like a fun way to learn some history! Love the nicknames. I’m late to comment, but this sounds like one I would love. I’m going to see if our Library has it. I love historical fiction and I love humor, so I think this one is right up my alley.